This holiday season consider making an investment in the future of your TMJ Association (TMJA) by making a tax-deductible contribution. We rely on individuals, like you, to enable us to continue the work of improving the quality of health care and lives of everyone affected by Temporomandibular Disorders. Your Association is dedicated to advocating for the best in scientific advances. We will continue to listen and learn from your TMJ experiences and use that information to promote much-needed changes in the healthcare system. As always, you can rely on the TMJA to address your needs in an ethical and scientific manner. Please give your gift today! On June 30, 2015, the Food and Drug Administration's Center of Devices & Radiological Health sent a warning letter to the President of Nexus CMF stating that "Nexus CMF has committed a prohibited act under section 301(q)(1)(c) of the Act by failing to comply with requirements under section 522 of the Act, and your P000023and P00035 devices are currently misbranded under section 502(t)(3) of the Act. It is also a prohibited act under section 301(a) of the Act to introduce or deliver for introduction a misbranded device into interstate commerce." The TMJ Association recently learned of this warning letter and verified with the FDA on December 24, 2015, that this letter is still in effect. Click here to view the warning letter. Nexus CMF is formerly TMJ Medical, formerly TMJ Implants, Inc., and is the manufacturer of what is commonly referred to as the Christensen device. Nexus CMF is currently prohibited from selling their TMJ total and partial joints to patients, surgeons and hospitals. If you or someone you know has received this implant after June 30, 2015, or is anticipating getting one in the near future, you should report this to the FDA by completing the FDA's MedWatch Voluntary Reporting form. 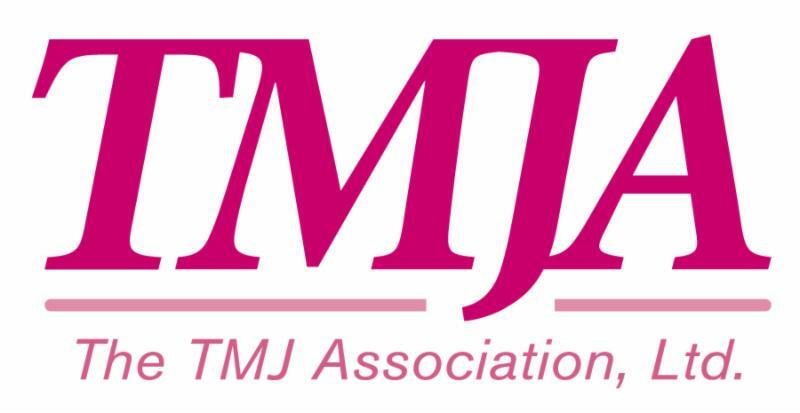 Please feel free to contact the TMJ Association at info@tmj.org if you need any assistance with completing a report or would like to file it anonymously. We'd like to remind patients that any time you experience problems or adverse events related to medications, and/or TMJ devices, including splints and jaw implants, it's important to notify the FDA of these issues through the MedWatch system. You can view TMJ implant complaints and problems filed by others through the MedWatch system in FDA's MAUDE database. In December, Bloomberg Business posted an announcement that TMJ Medical, which designs and manufactures alloplastic implants for the treatment of temporomandibular joint disorders, has gone out of business. Click here to read this news item. Need an All Titanium TMJ Implant? Increasingly over the past several years patients with temporomandibular total joint implants have been telling us that they have become sensitive to a material, or materials in the implants. The most common material they're sensitive to is nickel. The implant companies have responded to this problem by manufacturing the implant without the standard materials, and manufacturing implants of all titanium. Two TMJ device companies have been manufacturing all titanium devices--Biomet Microfixation (recently acquired by Zimmer, Inc.) and TMJ Concepts. The FDA has approved Biomet Microfixation stock product devices--stock meaning that they are of a specific design and material but made in different sizes. The materials in the stock products are cobalt, chromium, molybdenum and ultra-high molecular weight polyethylene. They also have approval to manufacture all titanium stock products, however they do not have FDA approval to manufacture a custom all titanium device. TMJ Concepts manufactures custom TMJ implants meaning that they make the devices according to the individual's craniofacial anatomy. TMJ Concepts has FDA approval to manufacture these devices composed of: titanium alloy, cobalt, chromium, molybdenum alloy, titanium mesh and ultra-high molecular weight polyethylene. They do not have FDA approval to distribute an all titanium device in the United States. Recently the Food and Drug Administration (FDA) has limited the manufacture of non-approved devices to five per year, which is in accordance with the last FDA device reauthorization bill. Naturally, patients with traditional implants experiencing symptoms of sensitivity are concerned that the all titanium implants are not available to them because of this limitation. We contacted the FDA about this situation and were told that TMJ Concepts and Biomet Microfixation, after they produced the limited five devices per year, are able to then provide a "small" number of the all titanium custom devices on a Compassionate Use exemption basis. That means the companies will be able to manufacture an implant for a patient with evidence of sensitivity to routinely used materials. There are criteria that the companies will have to fulfill in order to do this. Mr. Dave Samson, President of TMJ Concepts, stated that "they are exploring the feasibility of addressing the criteria FDA lays out for manufacturing the all-titanium TMJ implant for Compassionate Use." Our latest issue of TMJ Science, which includes the summary and recommendations from our 7th scientific meeting--Genetic, Epigenetic, and Mechanistic Studies of Temporomandibular Disorders and Overlapping Pain Conditions--is now available. We hope you're impressed with how far the science of Temporomandibular Disorders has come. We invite you to read this new publication which is available on our website as a pdf file. We are excited to announce our 8th scientific meeting, How Can Precision Medicine Be Applied to Temporomandibular Disorders and its Comorbidities?, to be held September 11 - 13, 2016 in Bethesda, MD. It will focus on Precision Medicine--the development of treatments tailored to individual patients. Our 8th scientific meeting is underscored by President Obama's announcement in the State of the Union speech on January 20, 2015, of the launching of the Precision Medicine Initiative (PMI). The program is intended to accelerate understanding of how individual variability affects disease onset, progression, prevention, and treatment. The challenges are many. Among other things, Precision Medicine will require different kinds of therapeutic intervention trials based on the particular genetic, environmental and other factors that shape an individual's epigenome and response to a given treatment. These approaches echo those recommendations from past TMJA scientific meetings and those emphasized by investigators in the NIH-funded OPPERA and MAPP studies. The goal of our meeting is to assemble outstanding experts from many disciplines to determine how to test new ideas and technologies and articulate a vision for how these can be incorporated into the national Precision Medicine Initiative. 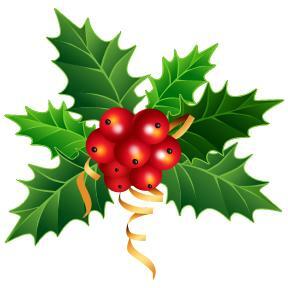 We will continue to keep you posted on meeting information in the new year. The linked article below dovetails nicely with the announcement of the topic for our 8th scientific meeting. This press release/article by the University of Maryland, Baltimore (UMB), provides an excellent summary of a recent meeting held at UMB's Center to Advance Chronic Pain Research discussing personalized medicine (another name for Precision Medicine) for treating chronic pain conditions. The meeting featured two leading chronic pain researchers: Jeffrey Mogil, PhD, professor and Canada Research Chair in Genetics of Pain and E.P. Taylor Chair in Pain Studies at McGill University in Montreal, Quebec; and William Maixner, Ph.D., D.D.S, the Mary Lily Flagler Bingham Distinguished Professor and director of the Regional Center for Neurosensory Disorders at the School of Dentistry of the University of North Carolina-Chapel Hill. Dr. Maixner is known for leading the OPPERA project, which we've reported on in the past issue of TMJ News Bites focusing on TMD. He is also a member of the TMJA's Scientific Advisory Board. Aim: To assess the level of evidence for subjective and objective parameters in clinical oro-facial examination and determine if predictors for temporomandibular joint (TMJ) involvement in juvenile idiopathic arthritis (JIA) patients exist in the current literature. Method: A comprehensive systematic electronic search strategy was performed in all major medical databases in June 2015. Studies were selected independently by two reviewers in accordance with a pre-specified protocol and a risk of bias assessment for all included studies. Subjective examination outcome measures assessed were: Pain, decreased TMJ function, and TMJ sounds, and the objective outcome measures assessed were: Maximal incisor opening, mandibular asymmetric opening, condylar translation, protrusion, myofascial pain on palpation, facial asymmetry, and micro- or retrognathism. Results: The electronic database search identified 345 unique citations. After application of our strict, predefined in- and exclusion criteria 21 papers were included and data extracted. The study heterogeneity did not allow for meta-analyses. No singular outcome measure can be suggested as a predictor of TMJ involvement in JIA as sensitivity and/or specificity is too low compared to contrast-enhanced magnetic resonance imaging. Conclusion: The low current level of evidence and study heterogeneity does not allow us to conclude on singular clinical outcome measures. To increase study comparability we call for a standardized terminology and evidence-based guidelines for clinical orofacial examination parameters in JIA patients. I am 53 years old and have had five jaw surgeries. In the first surgery my lower jaw was lengthened. The second surgery bone spurs were removed and the discs were pulled back into place. For the third surgery in 1994, I had artificial joints by TMJ Implants, Inc. The fourth surgery was in August 2012 to remove the worn out joints and insert spacers. The surgery was very lengthy--over 8 hours. Scar tissue that had formed was removed. One side was out of the hinge and the other side had screws floating in scar tissue. My jaw was wired shut for the first night; images were obtained and sent to the implant manufacturer. After the surgery I had swelling, pain, and facial paralysis. I had minimal movement of my upper lip, nose, and eyebrows. My fifth surgery was in October 2012 for which I received custom joints by TMJ Concepts. Even though some modifications were necessary to make one of the joints fit, the surgery went very well and I had very little swelling. After a pain protocol was established, I was able to control the pain and chew soft foods. Now I am three years post op, and I still have side effects from the surgeries. My eyebrows still do not move. I have some swelling in my cheeks and numbness on the right side. In January of 2016 I will have an eyebrow lift. I am also experiencing a hooding effect, which affects my vision. This picture was taken in August of 2015. I'm progressing, but not as quickly as I would like. The TMJ Association was asked to post the following announcement regarding the University of Michigan's Temporomandibular Joint Disorders and Orofacial Pain Interdisciplinary Consortium (UM-TOPICs) Career Development Grant - NIH/NIDCR K12DE023574. This Career Development Award is aimed at enhancing research capacity in Temporomandibular Joint Disorders and Orofacial Pain (TMJD/OP) by facilitating the development of scholars who will pursue research and enhance the knowledge base in this field. Funding will support scholars at either the postdoctoral fellow level or junior faculty level. Funding will be available for up to two years pending appropriate progress at the end of the first year of funding. Development biology, regeneration and tissue engineering of joint, muscle and ligaments. Bridge and derive critical knowledge needed to advance patient care in TMJD/OP through interdisciplinary science. The University is seeking letters of intent or nominations for trainees for this Career Development opportunity. If you know of any outstanding individuals (junior faculty, postdoctoral fellow or someone completing a PhD) pursuing research in any the above or related topics, please encourage them to apply or please feel free to submit a nomination. Please note that individuals competing for this award do not need to have prior experience specifically in TMJD or OP research, but should have worked in one or more of the above thematic areas and should be willing to apply their expertise to and pursue research in TMJD or OP. Potential candidates wishing to be appointed on this award must be U.S. citizens or permanent residents and should have completed their PhD, medical, dental or specialty training prior to being appointed on the award. Eligible candidates are requested to submit (1) a letter of intent or a letter of nomination (from a faculty mentor or individual knowledgeable in the applicant's research), (2) a personal statement of career goals, (3) a CV and (4) two letters of reference by January 8, 2016, to sodresoff@umich.edu. The United States Bone and Joint Initiative (USBJI) and Bone and Joint Canada are dedicated to increasing research of musculoskeletal diseases. The USBJI has developed a grant mentoring program to provide early-career investigators an opportunity to work with experienced researchers in our field to assist them in securing funding and other survival skills required for pursuing an academic career. This program is open to promising junior faculty, senior fellows or post-doctoral researchers nominated by their department or division chairs. It is also open to senior fellows or residents that are doing research and have a faculty appointment in place or confirmed. Basic and clinical investigators, without or with training awards (including K awards) are invited to apply. Investigators selected to take part in the program attend two workshops, 12-18 months apart, and work with faculty between workshops to develop their grant applications. The next workshop is scheduled to take place April 29 - May 1, 2016 in Rosemont, IL (Chicago). The unique aspect of this program is the opportunity for attendees to maintain a relationship with a mentor until their application is funded. Deadline to apply for the Spring 2016 Workshop is January 15, 2016. To apply for this program, please go to their website, http://www.usbji.org/programs/yii/call-for-applications. The TMJ Association encourages basic and clinical research on TMJ disorders to provide a greater understanding and safer and more effective methods of diagnosis and treatment based on scientific evidence. We invite you to view a listing of the latest National Institutes of Health (NIH) funding opportunities for scientists interested in advancing TMJ research. This brochure is a straightforward, easy-to-read guide for patients making health care decisions. Available by mail or as a PDF on our website, we encourage you to share this brochure with your friends, health care professionals and family. TMD Nutrition and You, a nutritional guide, was specifically developed for those with compromised oral function to help them maintain a healthy diet in spite of their oral disability. Click here to download a free copy of our booklet or email us with your name and mailing address to receive a hard copy by mail. Please support our mission with your donation today! To view or order a free booklet about TMJ Disorders, visit the National Institutes of Health website.